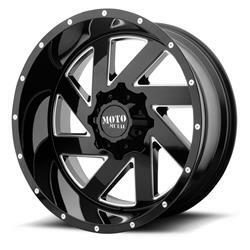 MO988 Gloss Black-Machined Wheel 20x9 94-18 Dodge Ram 1500 [Moto Metal MO98829086318 Wheel] - $279.95 : 3rd Strike Performance, Your Source for Late Model MOPAR Performance Parts and Accessories! Gloss Black with Machined Accents, 20 in. x 9 in., 5 x 5.50 in. 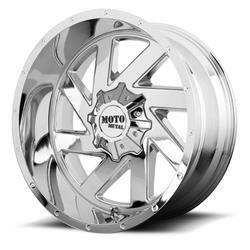 Bolt Circle, 5.710 in. Backspace, +18mm Offset, Center Bore 110.50 mm/4.350 in.